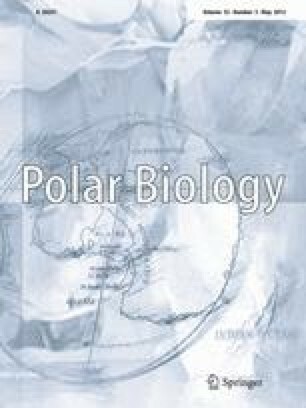 Several communities of autotrophic microorganisms, in which cyanobacteria are dominant or play a substantial role in their structure, were studied on the deglaciated Ulu Peninsula, northern part of James Ross Island, NW Weddell Sea, Antarctica, in 2007–2009. Our results were compared with similar data from maritime Antarctica (King George Island, South Shetland Islands, 2005). Characteristics and taxonomic description of three important heterocytous species, which participate in cyanoprokaryotic assemblages in the littoral of small lakes, seepages, and on wetted rocks during the Antarctic summer season, are included in this study. They belong to the form-genera Calothrix and Hassallia, respectively, and are unidentifiable according to the present determination literature. Therefore, after a polyphasic evaluation, they are described as three new species, Calothrix elsteri sp. nova, Hassallia andreassenii sp. nova, and Hassallia antarctica sp. nova. 16S rRNA gene sequencing of isolated strains confirmed the taxonomic position of all three species, and their ecology and seasonal development are described. All three discovered species are dominant in distinct communities with a specialized ecology and may be endemic for coastal maritime Antarctica. This study was conducted during the stay of the authors in the Polish Antarctic station Henryk Arctowski in 2004–2005 (headed by Prof. Stanisław Rakusa-Suszczewski and Prof. Adam Barcikowski) and mainly in the Czech station J.G. Mendel (headed by Prof. Pavel Prošek and Prof. Miloš Barták) in 2007 and 2009. We are indebted particularly to Assoc. Prof. Josef Elster for all support of our work, help, and valuable data. The access to the MetaCentrum computing facilities provided under the programme “Projects of Large Infrastructure for Research, Development, and Innovations” LM2010005 funded by the Ministry of Education, Youth, and Sports of the Czech Republic is appreciated/acknowledged. The technical work in laboratories was performed by Jana Šnokhousová and Dana Švehlová. We thank Dr. Keith Edwards for language correction. The work was supported by grants AV0Z60050516, IAA600050704, MSM6007665801, MSM0021620828 and GA CR 206/08/0318.